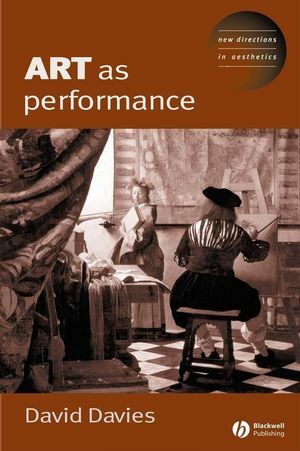 In this richly argued and provocative book, David Davies elaborates and defends a broad conceptual framework for thinking about the arts that reveals important continuities and discontinuities between traditional and modern art, and between different artistic disciplines. Elaborates and defends a broad conceptual framework for thinking about the arts. Offers a provocative view about the kinds of things that artworks are and how they are to be understood. Reveals important continuities and discontinuities between traditional and modern art. Highlights core topics in aesthetics and art theory, including traditional theories about the nature of art, aesthetic appreciation, artistic intentions, performance, and artistic meaning. David Davies is Associate Professor of Philosophy at McGill University and has published widely on topics in philosophy of art, metaphysics, philosophy of language, and philosophy of mind. Methodological Interlude: The ‘Pragmatic Constraint’ on the Ontology of Art. Aesthetic Empiricism and the Philosophy of Art. Indirect Arguments Against Aesthetic Empiricism. 3. The Fine Structure of the Focus of Appreciation:. The Structure of the Focus of Appreciation. 4. The Artwork as Performance: An Argument from Artistic Intentions:. The Bearing of Provenance on Work and Focus. Artistic Intentions and the Ontology of Art. A Role for Actual Intentions. 5. Provenance, Modality, and the Identity of the Artwork:. 6. Artwork, Action, and Performance. Heuristics and the Individuation of Artworks. Work-Constitution and Modality on the Performance Theory. 8. Revisionism and Modernism Revisited. 10. Defining ‘Art’ as Performance, and the Values of Art:. Notes Towards a Definition of ‘Art’. Conclusions: The Case Against Contextualism. "David Davies brings philosophical rigor and fine-grained analytical reasoning to live and pressing debates about the fundamental nature of art. He offers a striking and original thesis as well as an illuminating presentation of the issues. A compelling performance!"